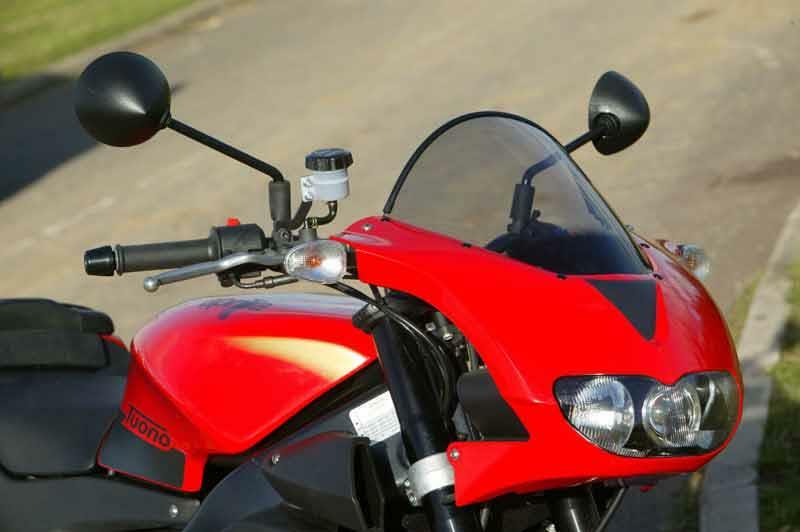 Simply put the Aprilia Tuono 125 is an Aprilia RS125 with nose fairing and flat bars. Which is why it’ll suit taller 17-year-olds much better than its racier sibling. It loses nothing in handling terms, with excellent brakes and packs stunning looks into what’s already a very tempting package. And once de-restricted it’s a flyer. Aprilia’s chassis wizards have waved their wands over the tiny Tuono 125, but instead of pulling a rabbit from their hats they’ve produced a greased weasel that stops, goes and turns like a greased weasel. Thanks to the wide bars you can really chuck it about and with the big bike rims sticky tyres are easy to come by. As stock the Aprilia Tuono 125 is perfectly acceptable; the 14bhp, two-stroke, reed-valve motor pulls along with reasonable torque until you hit 7500rpm where the restrictor emasculates what’s left of the go. Once de-restricted (it involves cutting into the CDI box and it’s illegal on the road if you don’t have the right licence) power doubles to 28bhp, torque jumps to 17ft lb and top speed nudges the ton. You’ll get the best from the Aprilia Tuono 125's engine if you use high quality fully-synthetic two-stroke oil, which can be expensive. This added running cost often means owners don’t bother and stick in any old rubbish, which may also point to other cut corners like missed service and piston schedules. 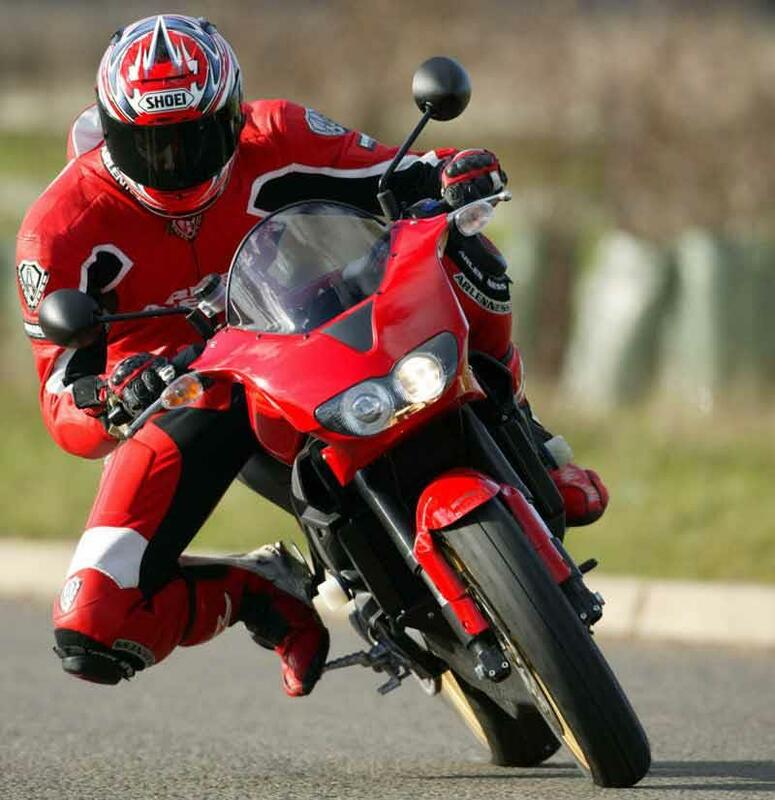 Reliability is generally good, especially on unrestricted bikes. Prices for the Aprilia Tuono 125 are a little lower than for comparable RS125s – around £100 lower bought through a dealer. However, it’s a lot of cash to drop on a motorcycle that, likely as not, you’ll only have for a year or two before getting something bigger. 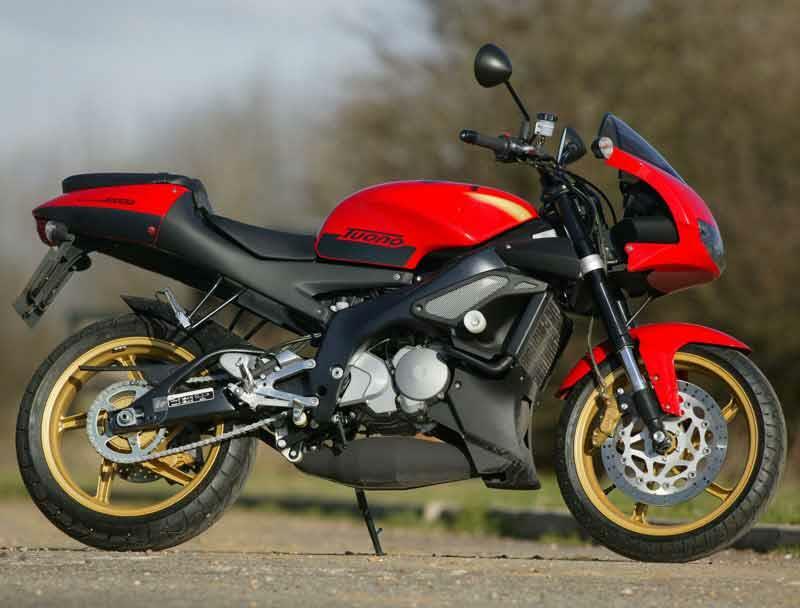 Find an Aprilia Tuono 125 for sale. 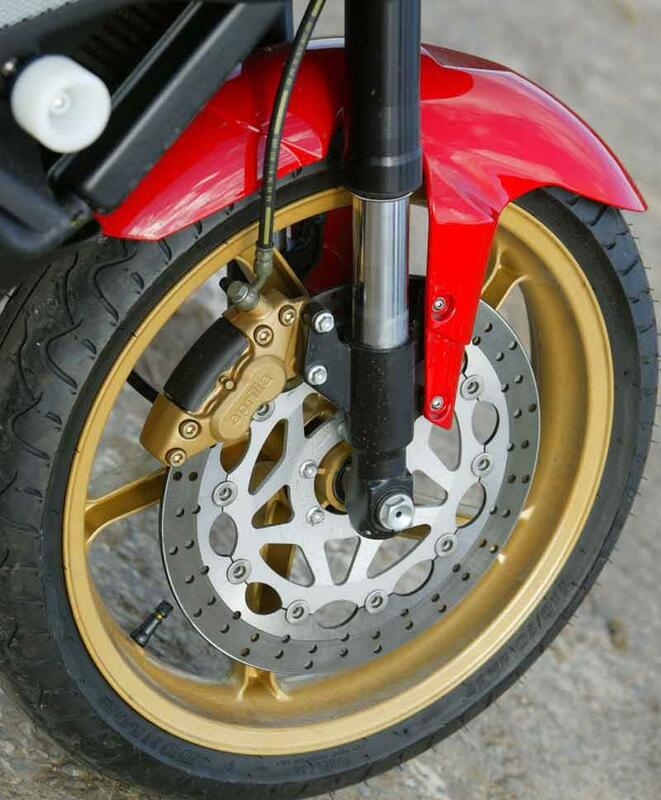 Spares are a perennial problem with Aprilias. Things like brake levers can take weeks to arrive, which is a pain. 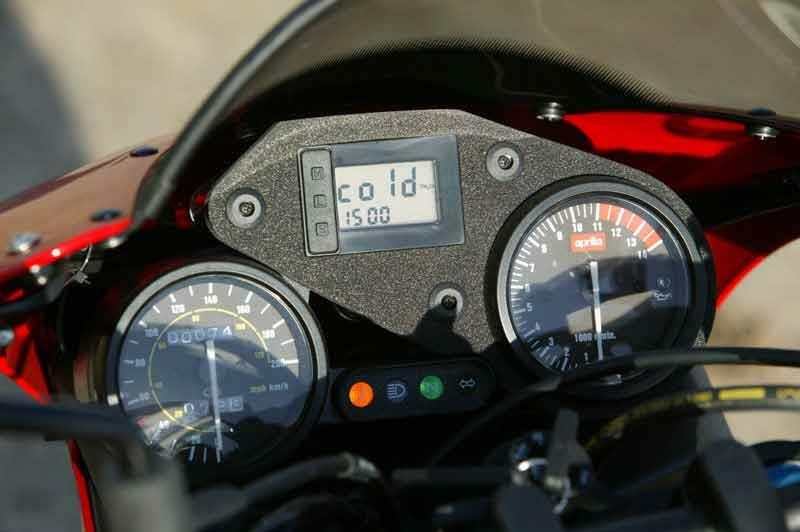 The Aprilia Tuono 125 is well-specced as stock, though, with comprehensive clocks, Brembo brakes and nylon crash bungs. 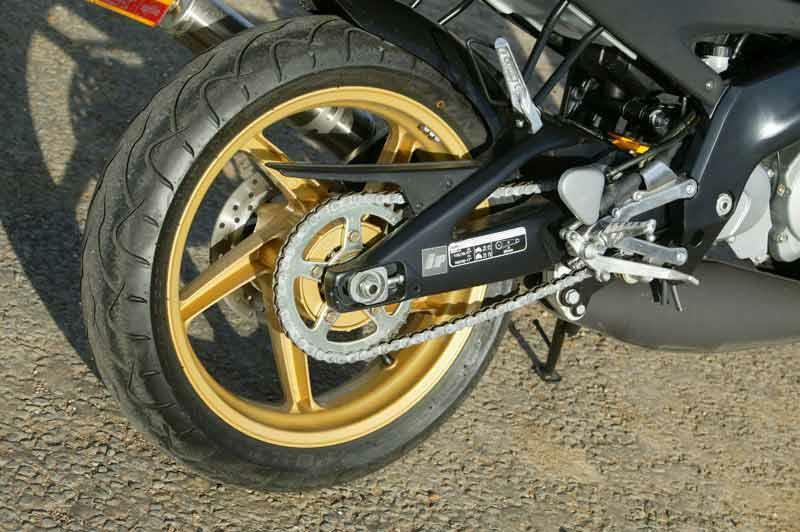 Compare and buy parts for the Aprilia Tuono 125 in the MCN Shop. 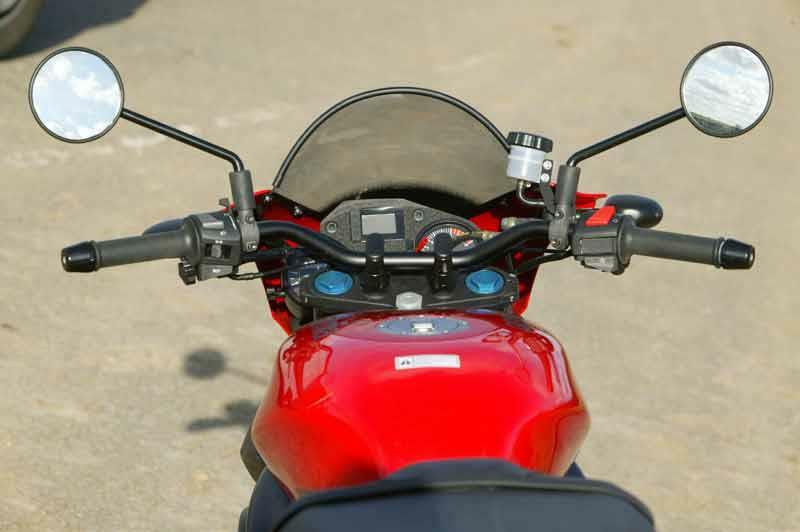 2003: Aprilia Tuono 125 introduced. 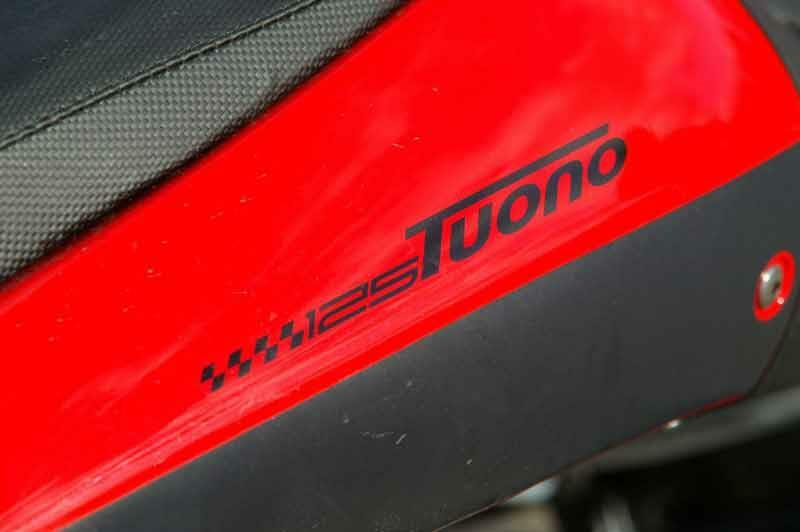 Aprilia Tuono 50: 50cc version of the Tuono, with 101kg and 1.5bhp in restricted form. 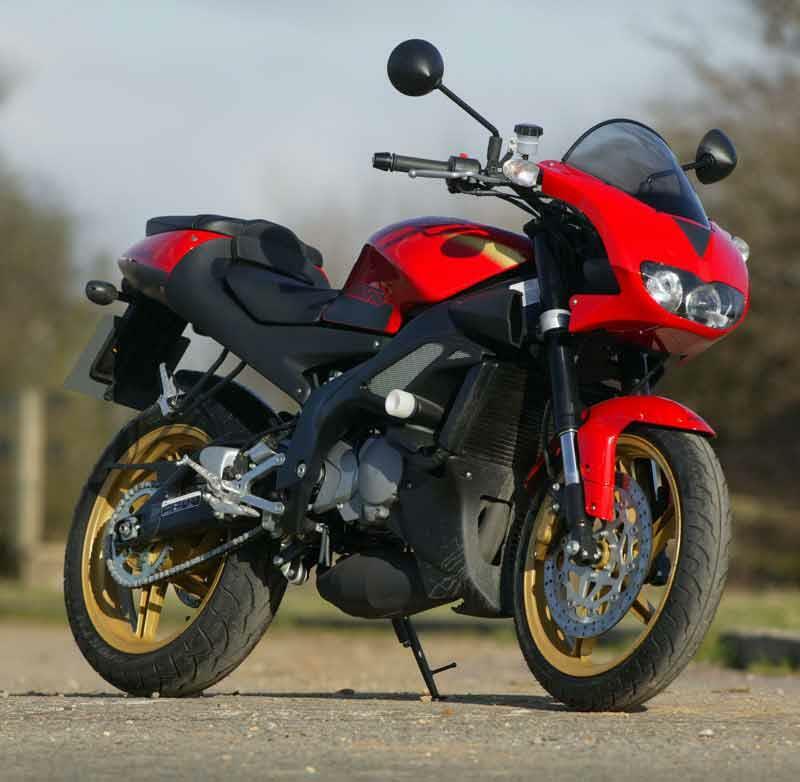 2 owners have reviewed their APRILIA TUONO 125 (2003-2005) and rated it in a number of areas. Read what they have to say and what they like and dislike about the bike below. The best motorcycle under 300cc. 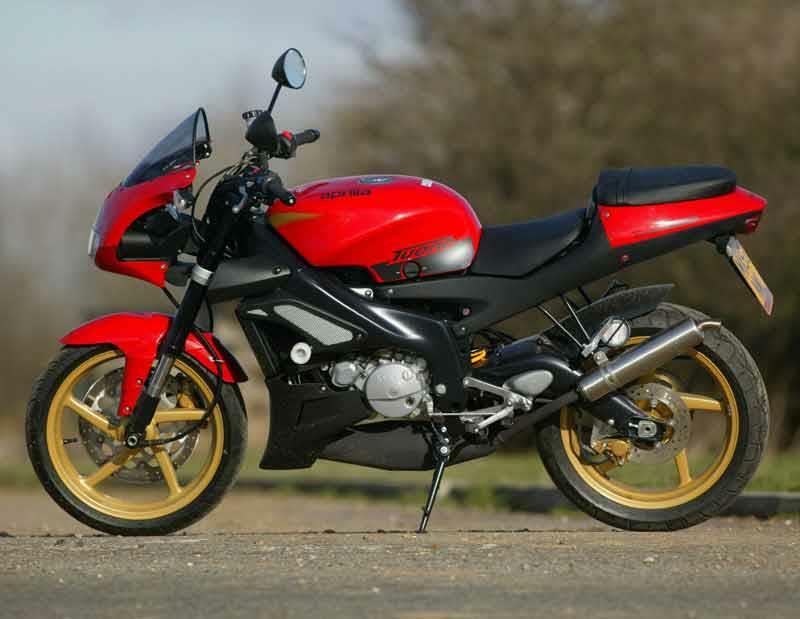 Mechanically identical to the RS125, but with added comfort, it is truly an under-appreciated gem. De-restrict ASAP, treat it properly and you will not be left wanting. One of the finest-handling motorcycles you can buy. Same excellent dynamics as the RS, but significantly more comfortable for rider and pillion alike thanks to tall bars and softer seats. Excellent brakes. Easy to handle as a day-to-day bike thanks to the light weight and soft clutch. Surprisingly wide spread of power as long as the engine is derestricted and the RAVE system is properly operational. High maintenance but reliable if properly warmed up and serviced. Also easy to tune. Can be had for significantly cheaper than a RS of similar age and mileage. Insurance is cheaper as well. Holds its value regardless of age if in good condition. Great aftermarket support, easily serviced by a competent mechanic. 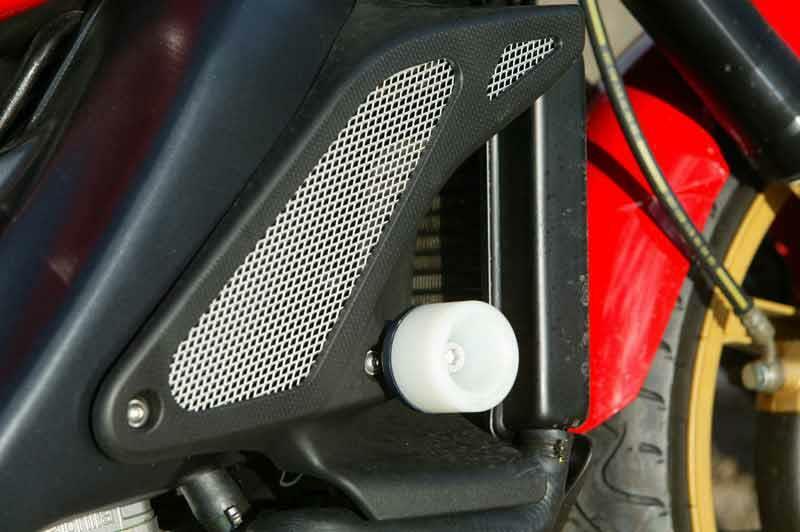 Spares may be expensive if bought new, and fuel economy is poor as with any performance two-stroke. Just like the 1995-2005 RS, it comes with high-quality chassis components and brakes, trip meter, reserve light, automatic mixer, digital clock and even a lap timer. A kickstarter can even be fitted, but the kits are not very easy to find. I have owned my Tuono for just over a year now, as I have previously owned only scooters and a yamie ybr 125. I was not ready for the sheer speed that this 125 can manage well over 70 mph is no problem. The handling is excellent thanks to the wide bars and tyres really allow you to throw it around with confidence. Its not the cheapest bike to run or maintain having poorer fuel economy that my car! However this is a small price to pay for the thrill it provides. Just looking forward to being able to derestrict it and see what it can realy do.